In a six-day driving vacation with a significant other, there’s always a moment when the journey can veer from wonderful to warfare at the drop of a hat — or in our case, a drop of the shorts. Sometimes this moment signals the end of the vacation. Sometimes it’s a turn towards a more serious destination. And sometimes — if you’re lucky — you will be saved by peacocks. It happened on day three of our first vacation in eight years. We’d spent two days in San Francisco, wandering between food stalls in the Ferry Building, stockpiling books at City Lights Bookstore, and watching the sun descend into fog on the balcony of the Claremont Resort. Then we arrived in Hollister, California. Forty miles southeast of garlic-obsessed Gilroy, the city of Hollister is bordered by golden hills, where winding roads lead to wineries, farms and the promise of a fine life. Unfortunately, we were in the flats, where things were neither golden nor fine. Late for a welcome reception for the wedding that brought us to Hollister, I listened as the hotel clerk informed me in a whisper that the foul-tempered, foul-smelling man nearby had just been kicked out of his room to accommodate us. When I found out the room was for smokers, I fled and peeled out of the parking lot. Startled, my husband Matt couldn’t decide whether he was angrier at the menacing evictee, the prospect of a smoke-filled room, or the imminent reality of no room at all. His shorts had lost a button on the way out of San Francisco, and he’d spent the drive anticipating a quick change in a hotel room. Now there was no room and no plan. The temperature of the spousal thermometer rose. I pulled into a McDonald’s and grabbed jeans from the trunk, suggesting a change of clothes would help. This suggestion was not helpful. Events escalated. Matt jumped out of the car and yelled, “FINE!” Then he took his hand off the waistband of his shorts and ‘dropped trou’ in the McDonald’s parking lot. This, if you hadn’t guessed, was the low point. We were moments away from hearing the wailing sirens of every cop in Hollister. As Matt gathered up his shorts and wobbled into the McDonald’s, I pulled up the wedding website on my phone, and dialed a Hail Mary. Moments later, in a state of fragile truce, we arrived at Casa de Fruta. It’s a fruit stand, or rather, what a fruit stand would look like if Walt Disney had something to say about it. 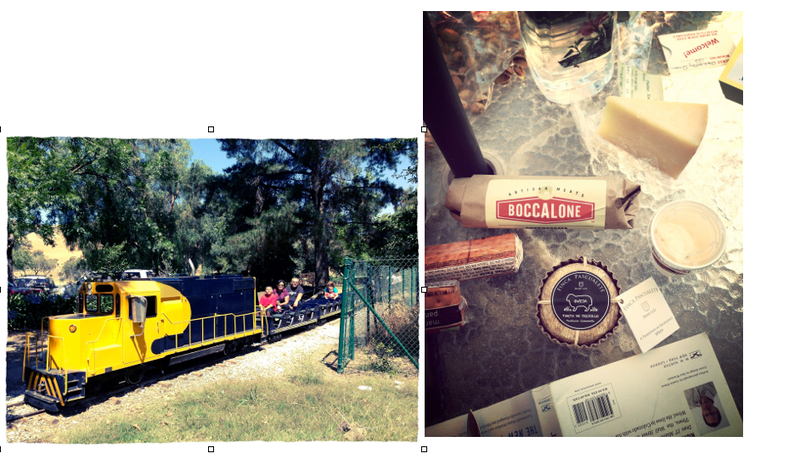 Next door is Casa de Restaurant, Casa de Deli, Casa de Sweets, and connecting them all, a tiny train — Casa de Choo Choo. Further down, past the Chevron station filled with dozing truckers and the RV park, we beheld the Casa de Fruta Orchard Resort. I’ll admit, at first glance, I wasn’t sure. But as we walked to our room, there was a familiar feeling of peace in the air. On the apron outside the fourteen-room inn, we met our welcome party — a mama peacock and her three chicks. Mama peacock and the three babies. The next morning, I woke early, slipped out of the incredibly comfortable bed, and went exploring. 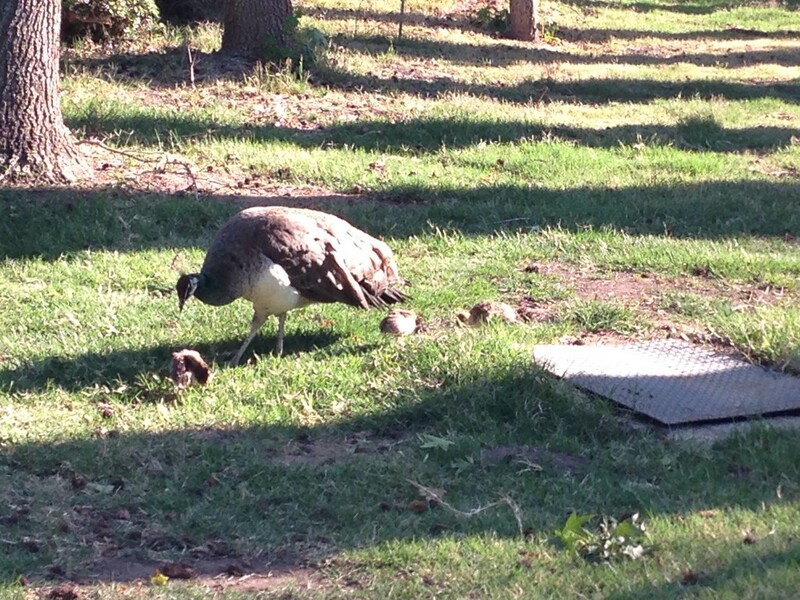 Mama and her chicks were awake, pecking in the grass. I met the groundskeeper. 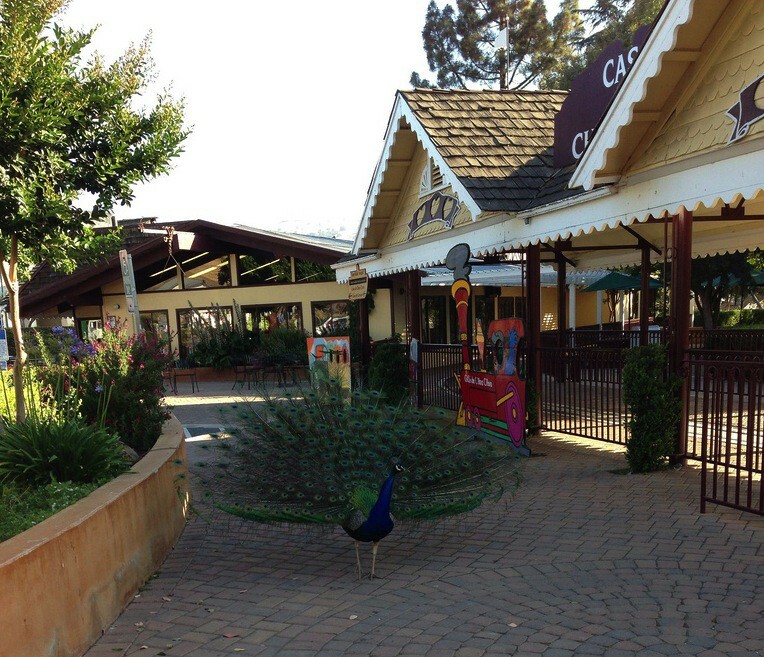 He told me that Casa de Fruta was more than 100 years old. He said he’d worked there for thirty years, and his parents had worked there for forty. Then he offered me a yellow aprium that his wife had bought at the fruit stand. The fruit was ripe, dribbling, and delicious — all of summer in a fragile skin. 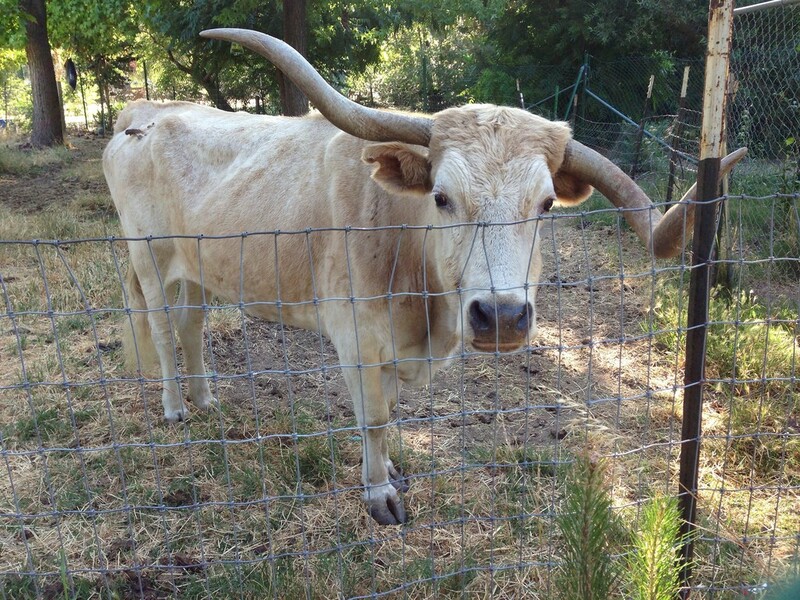 I said goodbye, crossed the tiny railroad tracks, and walked along a chain-link fence until I encountered a white bull with twisting horns. His contentment was contagious. 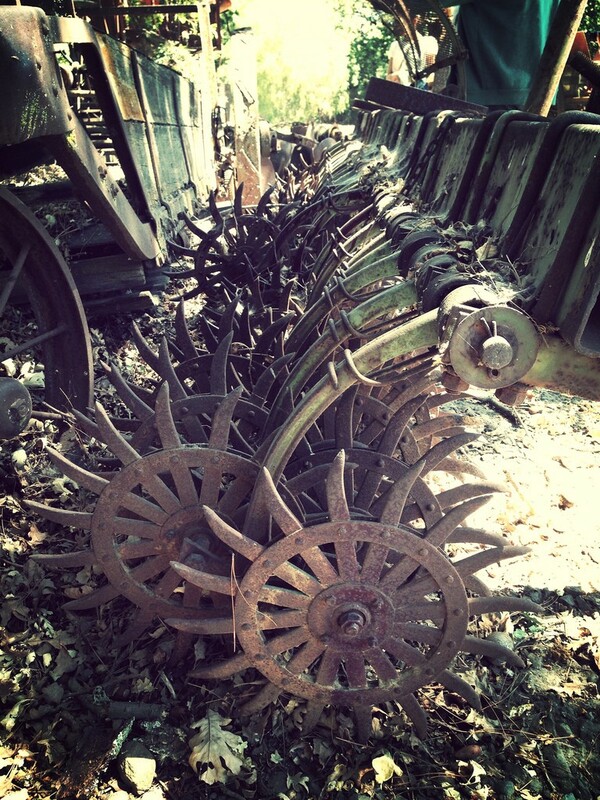 I found a shaded path, parallel to the tracks, lined with decades of rusting farm equipment. Ancient threshers, trucks, stoves, an endless line of contraptions I can’t even begin to describe. 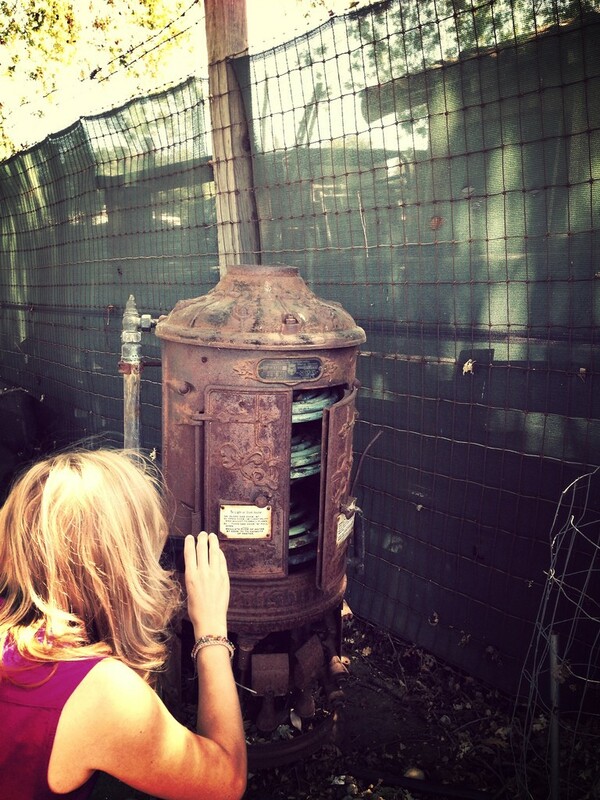 Casa de Fruta was more than 100 years old, and they never threw anything away. I don’t know what it does, but I bet it would hurt if you did it wrong. I turned, and saw a peacock standing on a flower bed. He hopped down, stalked past me, and cawed again. With his back to me, he spread his tail feathers and showed me his brown rump. 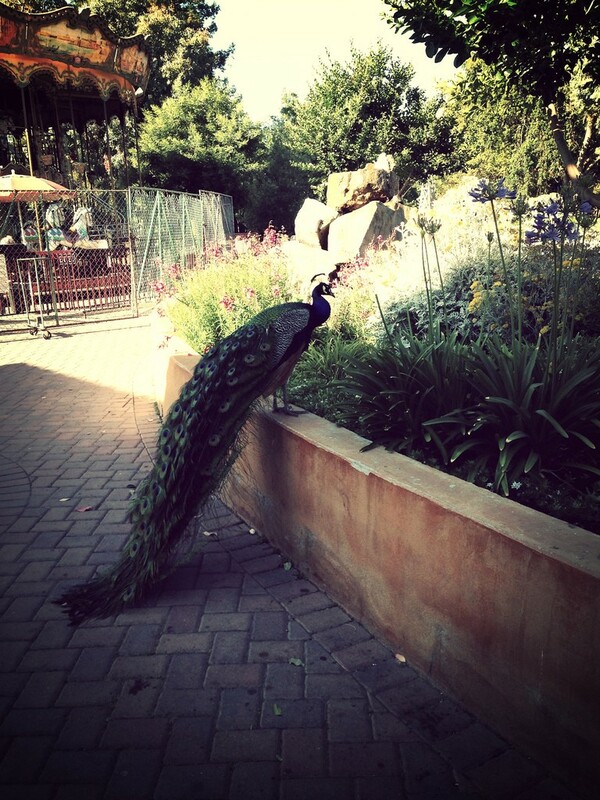 Then he turned, like a model on a runway, and graced me with his emerald plumage. He’s just that into me. I ran back to the room to share what I’d discovered with my husband.We walked the path again and met friends at Casa de Restaurant. We stayed put all day, resisting the chance to discover more of Hollister. 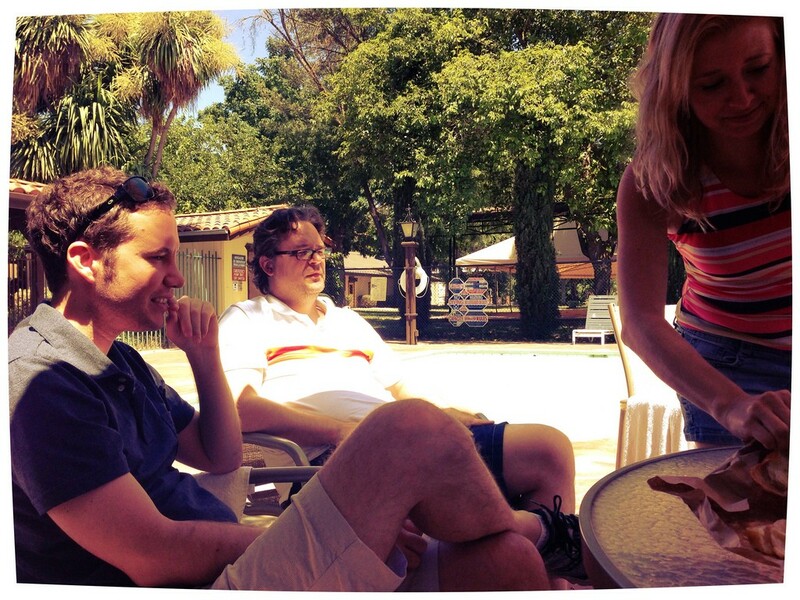 Around noon, we set up at the pool. Friends drifted in, one by one. Some brought pistachios, others fresh fruit. I laid out a loaf of crusty bread, stinky cheese from Cowgirl Creamery, and a fragrant salumi from Boccalone. We passed a pocket knife around and feasted. Every so often, the choo-choo rolled by, and,hearing the low whistle, three teenage girls would jump out of the pool and wave at the passengers. Then they would giggle and cannonball back into the water, much to the enjoyment of the three teenage boys lurking in the shallows. As we laughed with our friends, the sun halted in the sky, and I remembered the last time we were all together. In 2010 our friend Cricket, a marvelous actress and equestrian, was selling her parent’s home in Burbank. As the house awaited its new destiny, we gathered there on weekends to cook big meals, swim, and write. For one summer, the home was “The Writers House” — a place where a bedroom, a dining room table, or even a deserted horse stall became a writer’s refuge. It was a house where dreams skimmed along the surface of the pool and floated into the sky — a house where ‘other people’s friends’ became our friends. A place where people who were old enough to know better still found joy in taking each others hands in the pool, forming a circle and turning as one, faster and faster until the water formed a twister and we collapsed laughing into the vortex. Then the house sold and the friends dispersed. Screenplays went unsold, books went unfinished, and some friends left; to be with family in other states, to live in smaller cities with the promise of steady employment, to raise children in places where homes could be purchased without lotto money. Some stuck it out in Hollywood, trying to endure, trying to get one more turn on what the late, great Patrice O’Neal once called the “Showbiz Ride.” Some, like our friend who was about to get married, found love. Others worked to keep love new. Some still searched. Sitting by the pool at the Casa de Fruta, watching my husband splash his hands in the pool as he told a story, and laughing as he walked his unwitting audience deeper into the chilly water, I realized the simple pleasures of Casa de Fruta had, for one afternoon, reclaimed that summer of possibility. 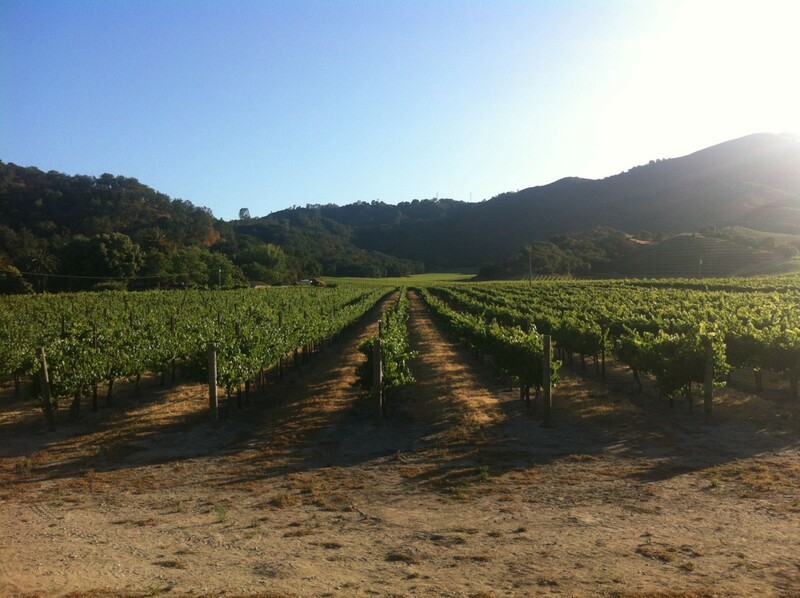 We danced at the wedding that night, at a winery in the golden hills of Hollister, California. For the last song, Matt and I held each other close. Then we widened the circle to include Cricket, whose husband was thousands of miles away. We were joined by the bride and groom, and then by more friends, until finally we all held together in a slow circle,gathering the new bride and groom in a wide embrace, giving them strength so that they would not collapse into the vortex of married life, but rather skim along its surface, and float away into the sky. Like any good weekend, this one didn’t end in the starry night, but at breakfast. After the meal, away from the hustle of Casa de Everything, six of us walked the path for the last time. This stove was my second favorite thing on the path. 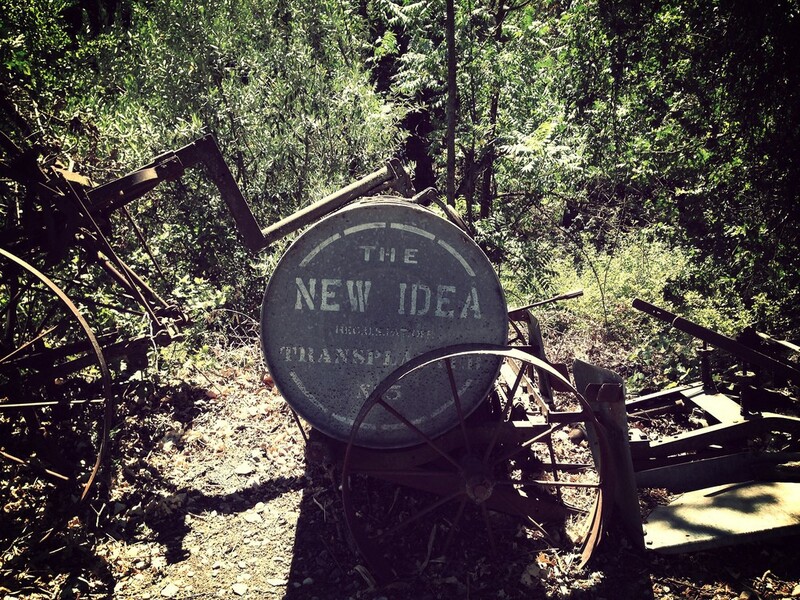 We wandered past the rusting equipment, past the old ideas whose time was long gone. Maybe we were all a little worried that we too were old ideas, that our best destiny would be to rust in place, clinging to former glory in a shaded grove. We laughed, cheered by the incurable optimism of the tin planter. We celebrated a new marriage and one perfect summer. We promised not to fade from each others lives. Standing on the path, surrounded by the past, we felt hope for the future; we believed that there would always be a new idea, that there would always be one more ride on the carousel. It always there, just waiting for you.